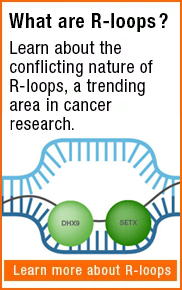 Growth factors are protein signaling molecules that play crucial roles in the regulation of numerous cellular processes such as proliferation, differentiation, and survival (Carrasco-García et al. 2014). Binding of a growth factor to its respective receptor tyrosine kinase (RTK) leads to activation of RTK kinase activity. Typically ligand binding induces receptor dimerization, however some RTKs, like the insulin growth factor receptor (IGF1), exist as dimers in their inactive state (Lemmon and Schlessinger, 2010). As a result of RTK activation, downstream signaling targets are phosphorylated leading to signal transduction via a number of signaling pathways. For example, activation of the epidermal growth factor receptor (EGFR) activates signaling cascades including Ras-MAPK, PI3K/Akt (Wee and Wang 2017) and Jak/STAT pathways (Andl et al. 2004). The EGF receptor is activated upon ligand binding. There are seven EGFR ligands: transforming growth factor alpha (TGF-α), heparin-binding EGF-like growth factor (HB-EGF), betacellulin, amphiregulin, epiregulin and epigen (Singh et al. 2016). PDGFs are potent mitogens acting on cells of mesenchymal origin, like fibroblasts and smooth muscle cells (Yu et al. 2003). The family of PDGFs is comprised of four factors: PDGF-A, B, C and D (LaRochelle et al. 2001). PDGF dimers can be either homodimeric (for example PDGF-AA, PDGF-BB) or heterodimeric (for example PDGF-AB). VEGF family members include vascular endothelial growth factor A (VEGF-A), vascular endothelial growth factor B (VEGF-B), vascular endothelial growth factor C (VEGF-C) and vascular endothelial growth factor D (VEGF-D) as well as placental growth factor (PLGF) (Holmes and Zachary 2005). Growth factors are commonly used in cell based assays to stimulate proliferation; the effect of Recombinant Human TGF Alpha (PHP291, PHP291A) (Figure 1) and Recombinant Human G-CSF (PHP292, PHP292A) (Figure 2) on cell proliferation is demonstrated below. The proliferative effect was measured using alamarBlue, a cell proliferation and viability reagent (BUF012A, BUF012B). 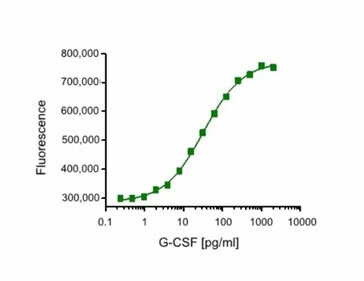 The median effective dose (ED50) was determined, this represents the concentration of the growth factor required to achieve the half-maximal proliferative response in a cell based assay. Fig. 1. Proliferative effect of Recombinant Human TGF Alpha (PHP291) demonstrated by performing a cell proliferation assay with human breast cancer cells using alamarBlue Reagent (BUF012A). The expected ED50 for this effect is 0.1-1 ng/ml. Find out more about alamarBlue, including protocols and FAQs. Discover more reagents for detection of cell proliferation including BrdU, a popular method for measuring cell proliferation. Andl CD et al. (2004). EGFR-induced cell migration is mediated predominantly by the JAK-STAT pathway in primary esophageal keratinocytes. Am J Physiol Gastrointest Liver Physiol 287, G1227-37. Carrasco-Garcia E et al. (2014). Role of receptor tyrosine kinases and their ligands in glioblastoma. Cells 3, 199-235. Holmes DI and Zachary I (2005). The vascular endothelial growth factor (VEGF) family: angiogenic factors in health and disease. Genome Biol 6, 209. LaRochelle WJ et al. (2001). PDGF-D, a new protease-activated growth factor. Nat Cell Biol. 3 (5): 517-21. Lemmon MA and Schlessinger J (2010). Cell signaling by receptor tyrosine kinases. Cell 141, 1117-34. Singh B et al. (2016). EGF Receptor ligands: recent advances. F1000Research. 5:F1000 Faculty Rev-2270. Yu J. et al. (2003). Platelet-derived growth factor signaling and human cancer. J Biochem Mol Biol 36, 49-59. Wee P and Wang Z (2017). Epidermal growth factor receptor cell proliferation signaling pathways. Cancers (Basel) 9, May 17.